Eavesdropping Ears Before a biological parent remarries, he or she might refrain from speaking poorly about an ex-spouse in front of the children. Once a step-parent enters the picture, the biological parent might enjoy the camaraderie of having someone to talk to about problems with the former partner. 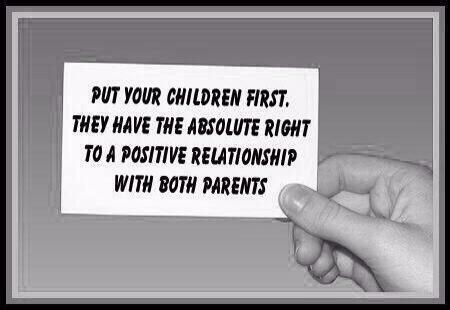 The parent and step-parent might not realize that children are listening or assume they are too young to understand. Instead of waiting until the children have gone to bed to vent about an angry encounter with the children’s father, a mother and step-father might start discussing the situation while they are cooking dinner. Even if the mother and step-parent do not believe the children are listening, they probably are, and they will begin to pick up on negative things being said about their biological parent. The American Psychological Association reports that young children might adopt those feelings about themselves over time and feel badly because of their biological connection with the other parent.